Next week we’re celebrating the release of Autobiography of Death, Korean poet Kim Hyesoon’s powerful new poetry collection, translated by Don Mee Choi and published by New Directions. Hopefully you’ve read Kim’s 2014 collection Sorrowtoothpaste Mirrorcream, translated by Choi and published by Action Books. We’ve been fans of Kim Hyesoon for a while and fans of Don Mee Choi for even longer. We were delighted to publish some of Kim’s startling, feminist poems in Choi’s translation in Two Lines 25. If you haven’t read Kim’s poetry, it’s time to take the plunge. Head over to your local indie bookseller TODAY and spend the weekend with these poems. You won’t regret it. Don Mee Choi is an award-winning author and translator of contemporary Korean women poets. We were honored to host her in 2015 to discuss her translation of Sorrowtoothpaste Mirrorcream. Check out our audio of the event to hear more about her collaboration with Kim, the aesthetic of the “gurlesque,” the history of Korean literature, international culture, and more! 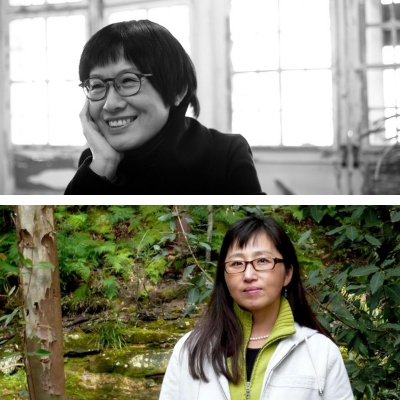 And join us Monday, February 11 at 7:30 pm at San Francisco’s Green Apple Books on the Park to hear more from Don Mee Choi and Kim Hyesoon. They will be joined by Forrest Gander and Brenda Hillman.